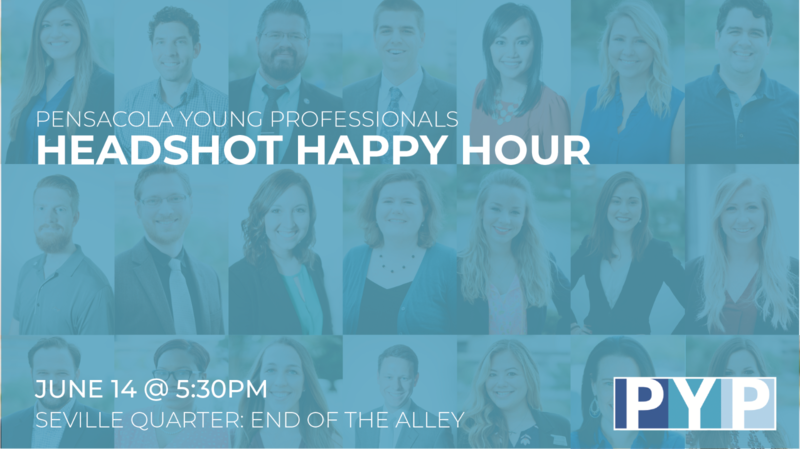 Pensacola Young Professionals invites you to join us for June's Networking event: Headshot Happy Hour! We'll meet at End of the Alley at Seville Quarter for a classic PYP networking experience. Grab a drink and get a professional headshot while you're there! Happy Hour Drink Specials by Seville Quarter. Professional Headshots are available free to members, $20 for visitors. High-resolution digital copies will be delivered to all participants following the event. JOIN PYP and get your free headshot. Monthly memberships start at $15 or save with an annual membership!